Do you want to live the land named “Saigon flower” go into the history of our nation? Do you want to own a luxury apartment, modern permanent life between Pearl Far East? Do you want to experience life in dream in the most prosperous city in Vietnam? Yes! Nowhere else. That is Saigon Royal – which will make your dream come true and this is also a place where you and your family can stay together to enjoy the happiest moments in life. With a convenient transport infrastructure system! Sai Gon Royal project located at the intersection between Ben Van Don and Nguyen Truong To streets. In front of the Mong Bridge _ the bridge has entered the minds of each city people from generation to generation. 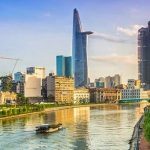 This is a bridge linking district 4 to the center of district 1 across the romantic Saigon River, opposite it is the State Bank of Vietnam, Ho Chi Minh City Stock Exchange, that area is called the street Wall of Vietnam. – The famous Ben Thanh market – which can be considered as a small-scale retail market has been attached to the city for more than 100 years. – Independence Palace – where is considered Asia’s most beautiful villas. – Ho Chi Minh City People’s Committee. – The state bank of Viet Nam. In particular, the Saigon Royal apartment and commercial project is in the same location with two other luxury apartment projects of the Novaland Group, namely ICON 56 (which was handed over in 2015) and The Tresor (delivered in 2017). 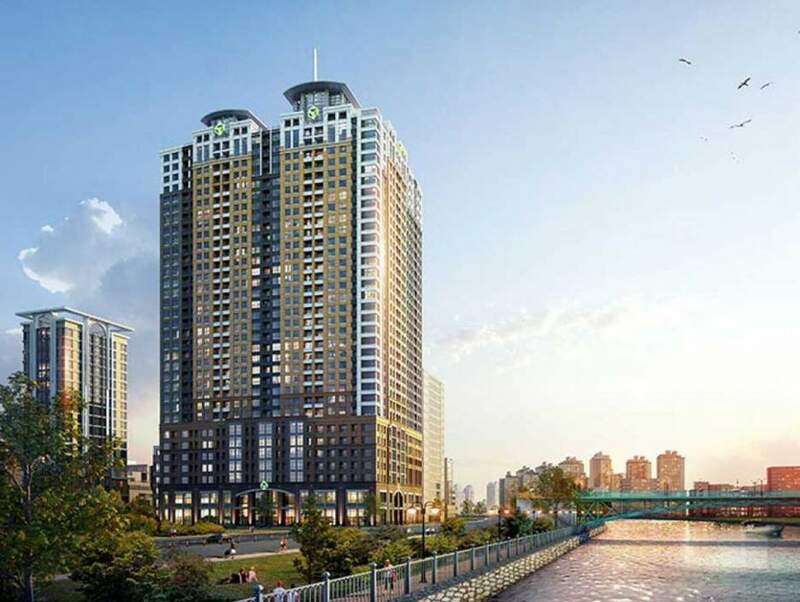 When all three projects are completed and put into operation, it will form a commercial complex, high-end apartments with a sophisticated lifestyle and counterbalance counter to the financial district NH on the other side of Thi Nghe Canal creating the busiest area at the beginning of Ben Van Don. It can be said that this is the destination for customers and investors an ideal security or an opportunity “thousand gold has one” when want to invest profitably in the real estate market. Because this place carries a prime location in the middle of the city center with top class service facilities in Vietnam. Stylish, modern design to detail! With the downtown land fund becoming narrower and depleted, the Saigon Royal apartment project has grown up in the center of the city, claiming its status as a “gold” “, providing lasting value, increasing over time. Saigon Royal apartment project was invested by investors – Novaland Group invested very seriously. The whole system of work from the inside out is meticulously selected royal designers from Switzerland. In addition to the extensive internal system and restaurant management system is trained very professional to not only ensure absolute security 24/24 but also satisfy both residents live here and customers visiting. To set a new standard of class lifestyle, enjoy every value of good life. The new point of the project is that it is right inside the building, the investor has built the Officetel model (Office + Hotel). This is a model of housing associated with business and it is very popular in current and is expected to be a great development model when Vietnam is in the process of economic integration, not only the current trend but also future. You can enjoy life in the dream. The luxury and modern life of the Saigon Royal Residence is also adorned with around beautiful landscapes. From the apartment – commercial area with 2 fronts are Ben Van Don and Nguyen Truong To streets, the residences here can enjoy the romantic scenery of the blue water in the Thi Nghe canal when dawn go up or when the sun falls down. Not only that, looking at the Northeast, customers can enjoy the busy life but no less exciting of the city center with a cup of coffee. This is really a place to live and enjoy life! Saigon Royal luxury apartment like replacing the owner confirm their living standards, each apartment, each style, each value difference. The apartments have from 1 to 3 bedrooms designed by international team of engineers are very delicate, luxurious and meticulous to each line with a clear view, so that customers can enjoy comfortably live in their dream. Come to us – Saigon Royal to get the most quality of life. Saigon Royal is the place to realize your dreams.